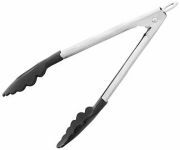 Tongs. A picker upper, a placer, a server. 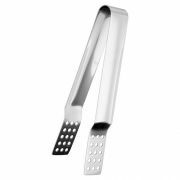 Ideal for grilling and keeping the heat at bay for the barbeque enthusiast. 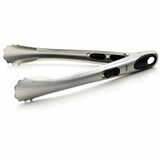 Usually made from stainless steel for heat resistance with some having silicone ends to withstand heat up to 500°. Most have handy locking systems for taking up less space when stored.